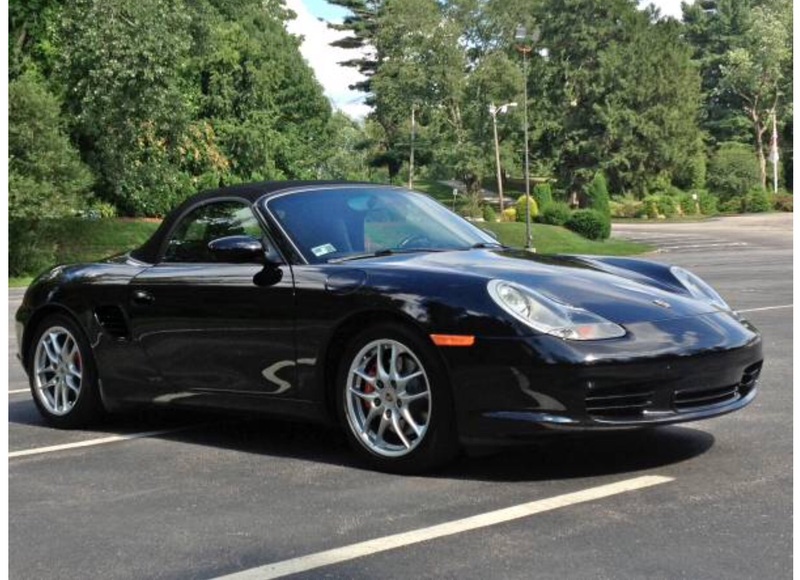 986 Forum - for Porsche Boxster & Cayman Owners - What did you find on CL today? What did you find on CL today? I saw the yellow car lol. 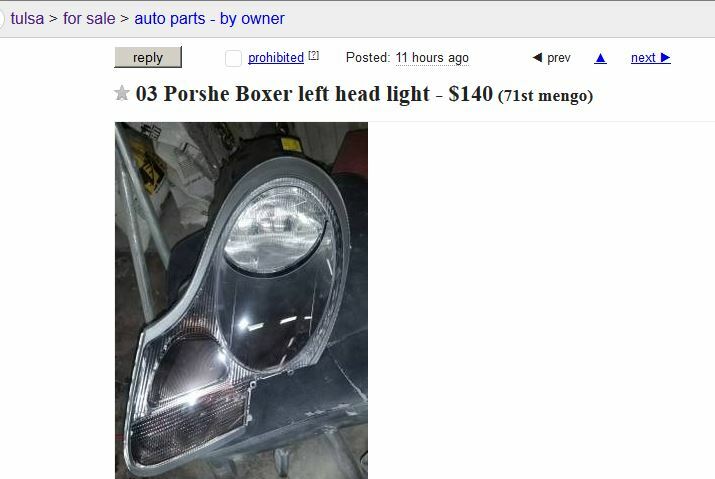 Someone doesn't know how to spell for that headlight. 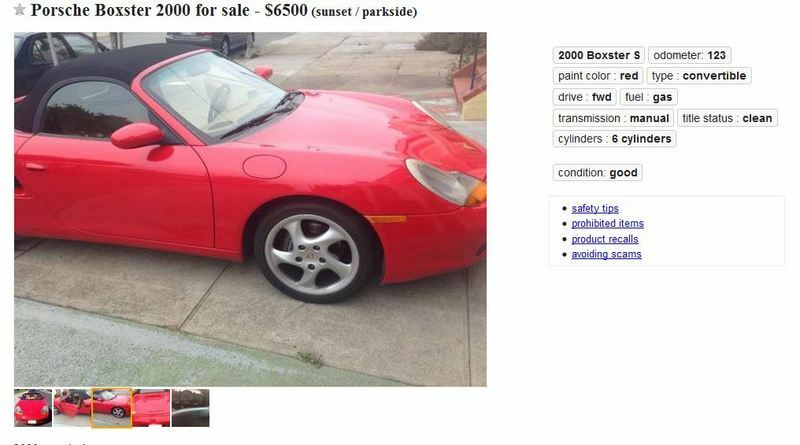 In the last month I've seen two hardtops on CL go for cheap because the owners couldn't spell. 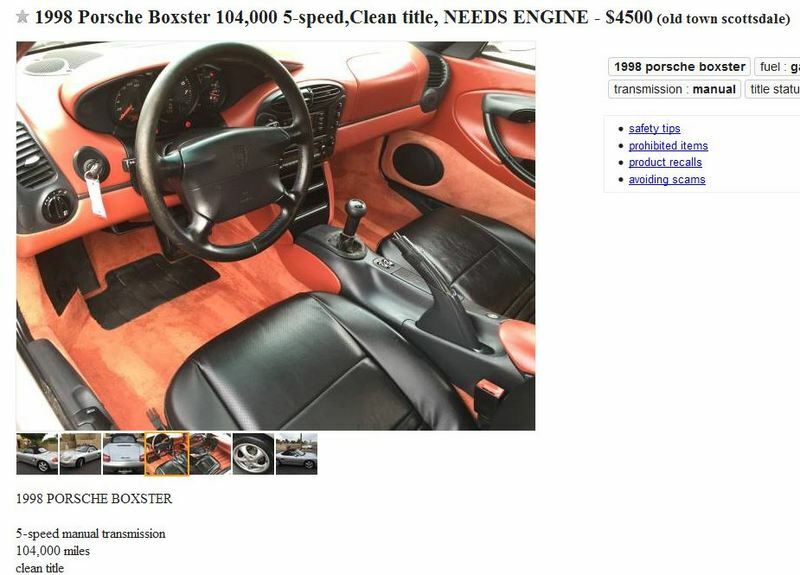 One was in Dallas for $500 and he spelled it Porche twice. I let a customer of mine know about it and they grabbed it. 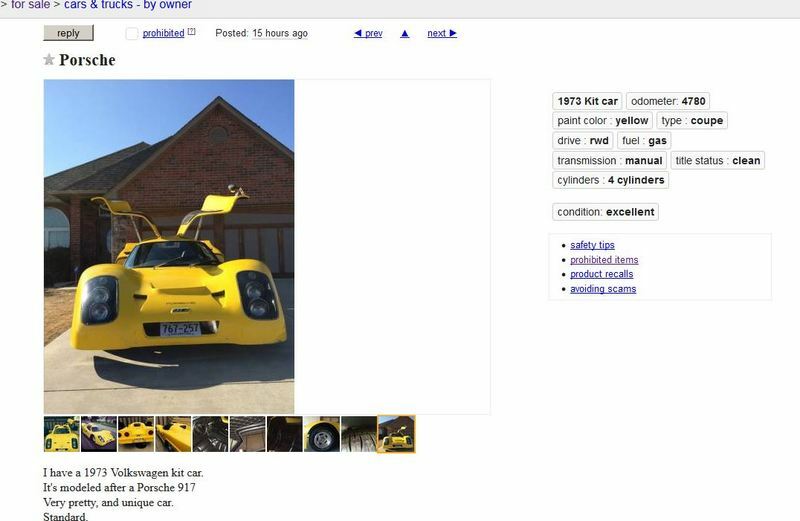 Then last week in Houston a guy was selling a hard top for $300. I was on my way to go get it and he sold it before I could get there. It was on CL for three days as "boxer har top". I kick myself for not dropping what I was doing and running down there to get it. Agreed on the spelling...I always do an alternate search for 'boxter' and 'boxer', it's amazing how many hits you get. My other car is a VW Touareg, which presents another set of search/spelling challenges. There is currently a set of wheels and sport tires that is down to $500, no doubt because of two errors with the post. Sorry, I'm not posting the link yet because if he takes $400 I will buy them and resell!!! 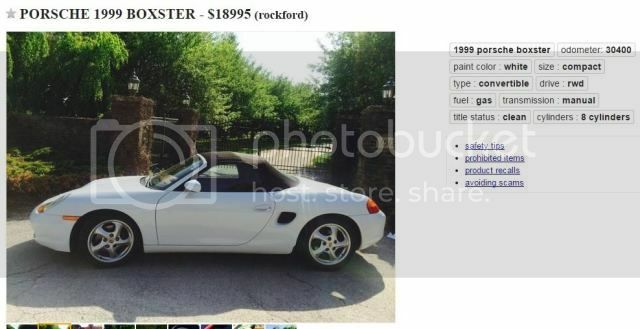 On the the other hand, a correctly spelled Boxster hardtop is listed for $2500, a sacrifice according the the seller. Here's my favorite for today....these wheels will fit a 'Boxter' as well as a 918 Spyder!!! 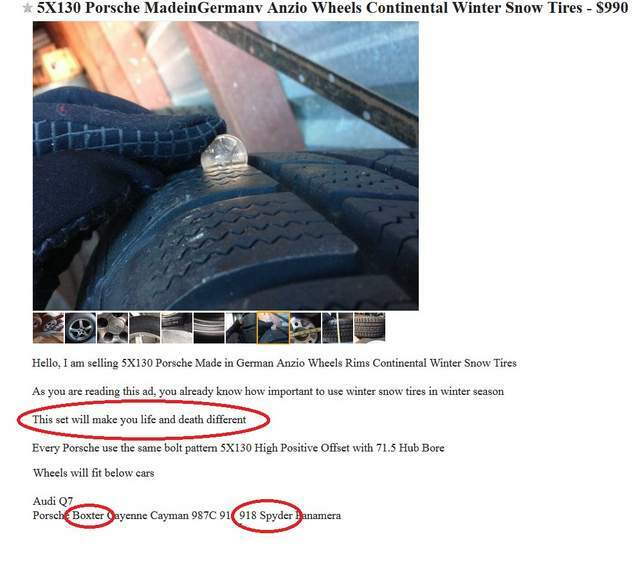 Because every 918 owner is looking for winter tires on craigslist!!!! This same ad is on every CL site from NJ to Mich. I saw it on Syracuse CL, then i went to Buffalo to check the listings. Saw the same ad, so I kept heading west to look for it. I stopped looking when I got to Mich. I wonder what the scam is? Want a 993 for $7700? That 993 is a bargain...rear wiper AND cruise control!!! Where in Nigeria can I send the $5000 down payment??? Anybody want a 9/11? 2002 Porsche 9/11 Only 70k Miles! This one near SF Bay may be a legit great deal. Probably sold already if it is... Anyone know of it? I am really feeling like a 2000 S is in my future, but I'm holding out for silver with the red interior. How about some free gas? Just be sure to bring enough "reservatories"! Looks like the Coyote from the TV show with Brian Keith as a judge. McCormick & Hardcastle ?? A nice looking '98 roller. Asking is a bit high, but I'd make an offer if it was local. "Overheated and locked up." I always wanted an 8 cylinder 986. I guess that's what the extra $10k is for. 2001 Boxster S 60k miles. For 10.5k! I found a pretty clean triple black Boxster S with high mileage. Asking around 16,000 for a car with 90,000 miles. While it's a bit too high for me but might be a good deal for someone. This could be a solid find for someone looking. If anyone is interested I can make a drive and check it out for you. Um... do you think that he meant KMPH? (165 MPH). Or does he drop it from a plane?